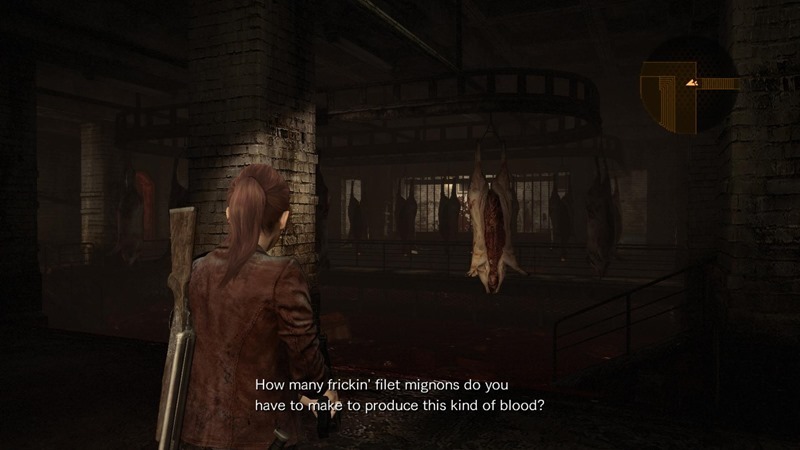 Previously on Capcom’s Revelations 2: action, pretend survival horror, dialogue, limited ammunition, scarce greenery, MORE action! 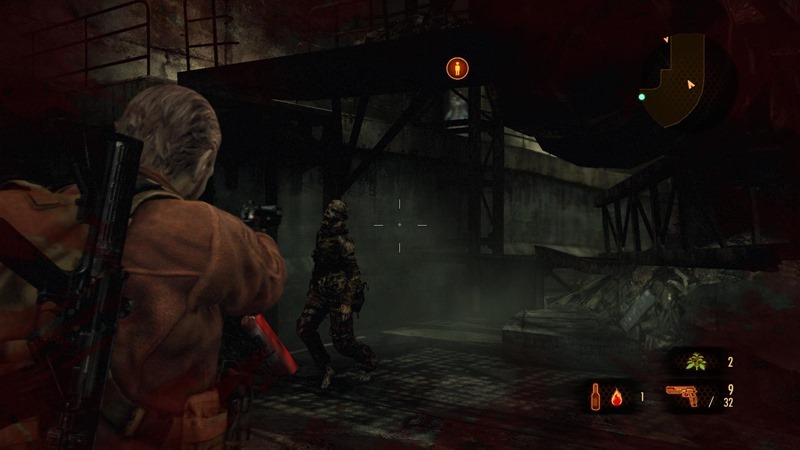 The first two episodes of Revelations 2 were highly enjoyable, leaving me wanting more. I dived into the penultimate episode of the four-part game with expectations high. Is the series still going strong? Thankfully, yes. We continue our tale right where we left Claire and Moira at the end of their campaign in episode 2 – at the doorstep of the looming tower. They believe it’s the operating base of the Overseer – the mysterious female figure who till then has been speaking to the two via the bracelets they found themselves wearing post-capture. The Oversee is responsible for this nightmare, which is reason enough to warrant a visit in the hope of ending it or at least finding answers. Unsurprisingly, the tower is locked, and the Overseer conveniently forgot to leave a spare key under the rug. What Claire and Moira find instead is a note from their TerraSave comrade and superior, Neil Fisher, who made a brief appearance in episode 2. His note suggests that they head toward the nearby food processing plant. It doesn’t take a T-virus scientist to figure out that it is very, very dangerous place. Claire and Moira head there anyway because they have no other better place to be. Though still packed with action, Claire’s campaign this episode has a lot more emphasis on puzzle solving. We’re not talking matching up elements, replacing missing blocks, or anything as tricky as a rubrics cubes for that matter. Rather, it’s figuring out how to get certain key items, and using them to venture further into the factory. It’s not tough by any means, but it is nice to have some sort of grey matter material separating all the mindless action. 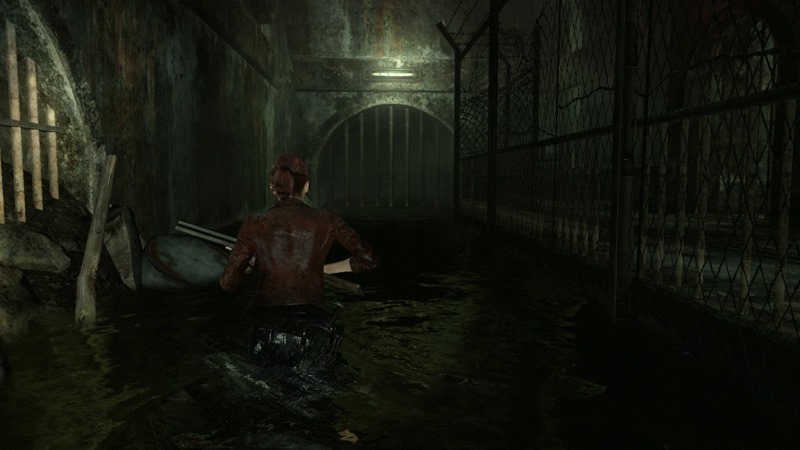 After one helluva escape from the death factory, Claire and Moira end up in the sewers, which conveniently, leads them right underneath the tower of doom. Finally, answers! I’ve been looking forward to knowing what the heck makes this crazy place tick! My one good friend once said, “Resident Evil isn’t known for its award-winning stories”. Revelations 2 doesn’t seem to be the exception. What should be a dramatic plot twist or reveal towards the end of Claire’s campaign in this episode is, sadly, visible from a mile away. It’s not all bad though. While perhaps clichéd and predictable thus far, I look forward to the conclusion of that campaign next week. Over on Barry’s story, things aren’t quite as stealth-focused as the previous episode. Till this point, I’d become used to visiting the same locations that Claire and Moira have, albeit from a different perspective. This is the first time where there is a very brief overlap of the two campaigns – in the sewers, and following that are new, unseen areas unique to Barry’s portion of the game. One in particular presents a slight twist, at least for a little while. Barry and Natalia’s path is blocked by gates. Natalia, being small and mobile, is able to squeeze through a tiny gap, giving her access to the upper area which allows her to open the gates for Barry below. It is the first time they have been properly separated, and it makes for a rather tense, enjoyable bit of gameplay. See, the floors in both Natalia and Barry’s seperate locations, are littered with “dead” enemies. Sure, you expect them to rise at inopportune moments, you’re just not sure when that will happen. Barry is fine – he is a one man army,capable of destroying anything that comes his way. Natalie on the other hand is unable to defend herself effectively, so it’s left to the player to switch to Barry to provide assistance from afar. Problem is, not all enemies seem to decide to “wake up”, so you’re never sure what to expect. There was one occasion where I had to turn a valve as Natalia, a corpse a mere metre or two away. I had my finger on the switch character button, ready for action… only to have the corpse take no action at all. It was tense, especially when the gate finally creaked open and I was forced to abandon Natalia, switching to Barry to see what enemies awoke or waited on the other side. 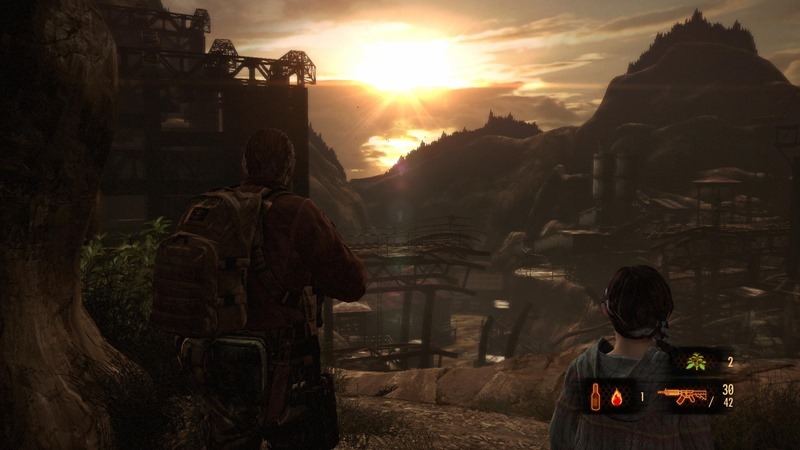 After their exit from the sewers, they happen upon a desolate mine which strongly reminded me of the one from Resident Evil 5. It appears abandoned, and for the most part, is. This location also has some light puzzling. Barry needs to carry a box around to reach new areas, as well as power machinery to progress further. So there I was, happily bringing this mine back online. Problem is, things were awfully quiet. There weren’t masses of enemies waiting – just the odd one here and there to keep me on my toes. It led me to what I knew was a jump scare. I expected it with 100% certainty, yet I still swore loudly as I jumped out of my chair in shock! 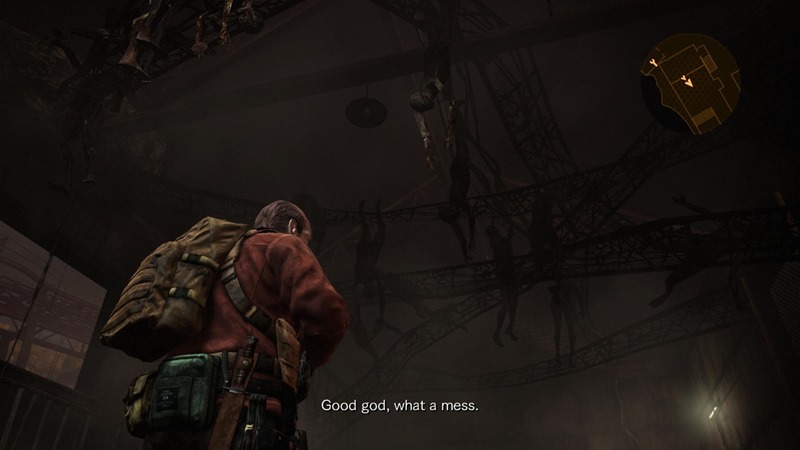 As much as I am enjoying Revelations 2, it could certainly use more moments like that. Duration wise, The episodes seem to be getting longer. This week’s offering took me a little over 4 hours to complete. If I was really good, did no exploring, and suffered zero deaths, I think it would’ve been around 3. Looking back, the game overall have given me close to 10 hours of gameplay, which is pretty damn respectable. There is still an episode left, as well as the two bonus ones fleshing out Moira and Natalia’s stories. Let’s not forget the Raid Mode which I finally got to work… HUZZAH! 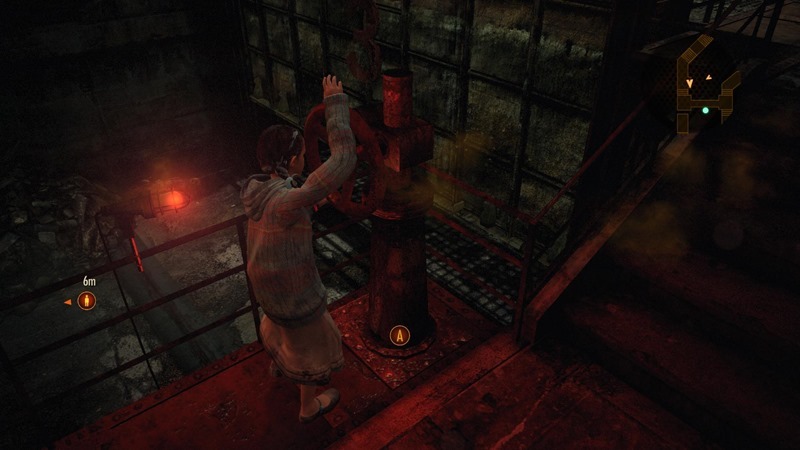 This increases the play time of Revelations 2 even more. Raid offers hours of additional content in the form of bite sized side missions. More often than not, they boil down to killing X amount of enemies. Still, it’s a lot of fun, and I feel that even without it, Revelations 2 would still be worth every penny. Including a whole extra mode is a bonus – a nice touch from Capcom. Yet another polished episode from Capcom. The story may not be up to scratch, but the game remains fun and enjoyable. 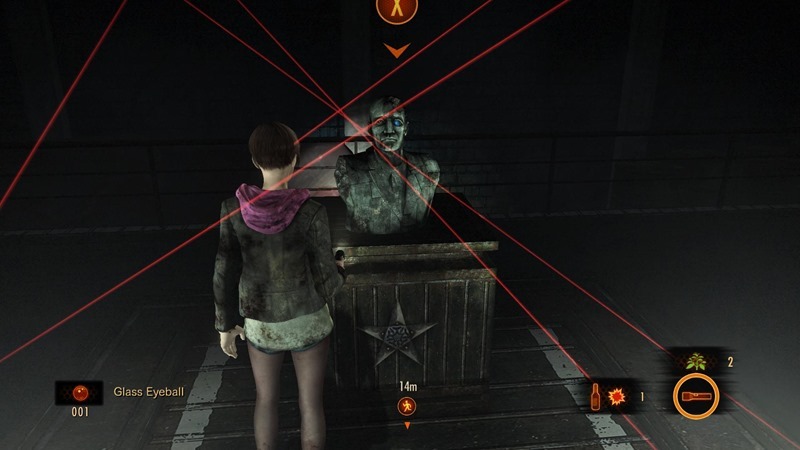 The only way Revelations 2 could ever hope to stumble is if next week’s episode is a total shamble. This somehow, given the track record of the first three episodes, seems incredibly unlikely. Next article The gods demand a new trailer for GAME OF THRONES season 5!